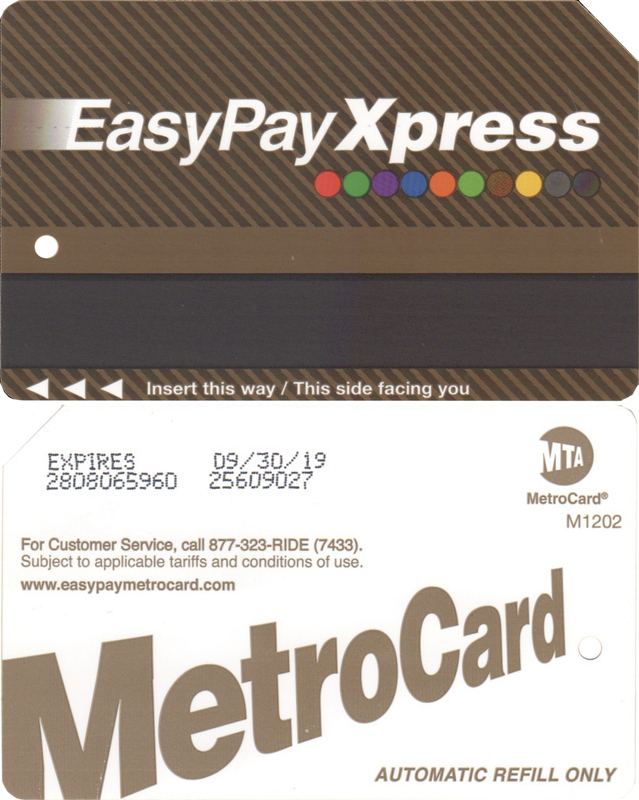 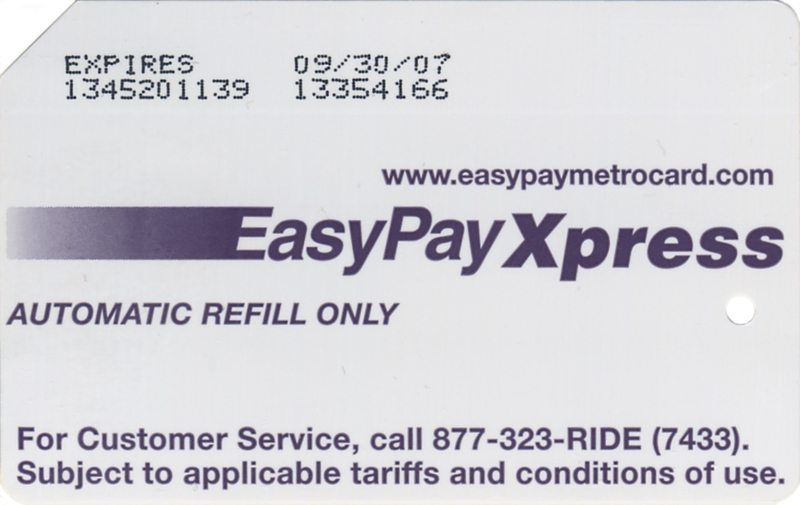 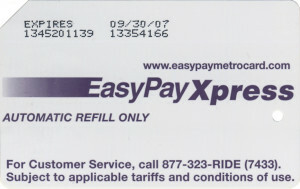 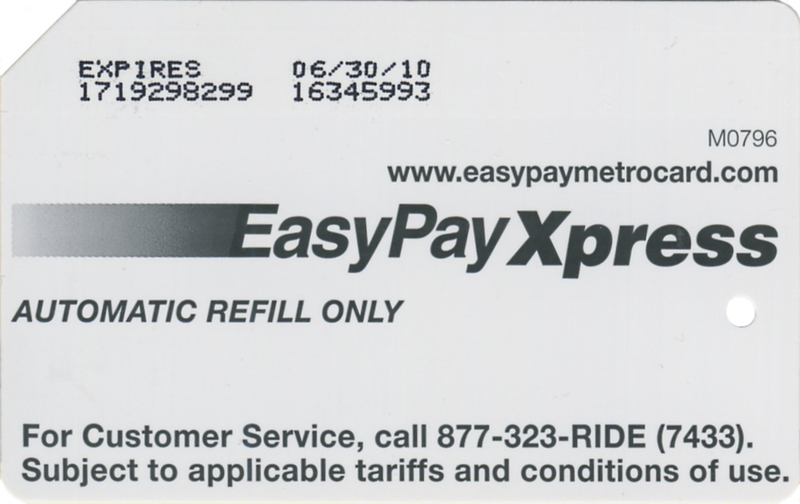 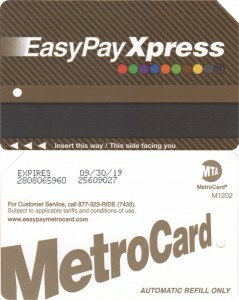 In 2007 MTA introduced Easypay Metrocard so that customer can order it by using his/her credit card and credit card will charged on monthly bases. 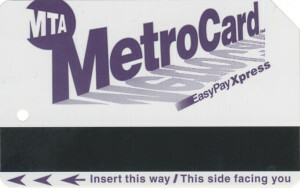 First metrocard was purple color on both sides and latest one is black and white and regular gold color on its back. 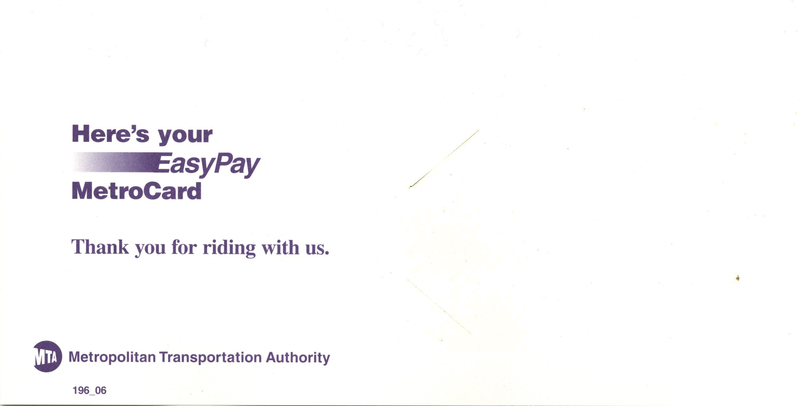 There was available flier with explanation how to order and use. And metrocard comes attached to a paper. 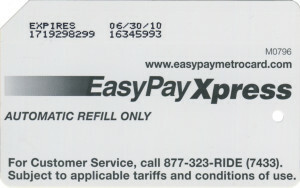 Next of this card has regular gold front side.